Challenges and Solutions in Large Scale Data Movement, Martin Swany, Indiana University. Abstract: The effective and efficient utilization of networks is a persistent challenge in today's computing ecosystem. The trend towards increasingly distributed computing environments supporting data-intensive applications compounds the issue, making data movement a cross-cutting concern, affecting users of distributed computing and data-intensive science alike. This talk will discuss emerging network approaches and their implications for the future. Two key areas to be explored are Software Defined Networking (SDN) and Remote Direct Memory Access (RDMA) over Ethernet. Bio: Martin Swany is an Associate Professor of Computer Science in the School of Informatics and Computing and director of the Indiana Center for Network Translational Research and Education (InCNTRE) at Indiana University. He is a 2004 recipient of the US Department of Energy Early Career Principal Investigator award. His research interests include high-performance parallel and distributed computing and networking. Abstract: Ten years ago, research and education groups could ask for funding for more capacity based on the simple argument that what was in place simply wasn't enough for researcher, and tho argument was generally accepted. Recently, especially in the last 2-3 years, this has changed, and funding agencies are looking more closely to network use and usability as they make awards. This talk will address the changing nature of how network engineers and researchers need to think about their projects, from funding requests to demos, using the IU International Network group as a case study. Bio: Dr. Jennifer M. Schopf is the Director of Internationals Networks at Indiana University (IU), overseeing the NSF-funded America Connects to Europe (ACE) and Trans Pacific (TransPac3) awards. Prior to IU, Schopf spent a year at the IEEE Computer Society as a strategic analyst and 4 years at the US National Science Foundation where she helped to develop domestic and international pragmatic networking solicitations, applied software programs, and EarthCube, a largescale geoscience cyberinfrastructure data-centric project. Her research focuses on performance, anomaly detection, and user requirements gathering, primarily in distributed systems with relation to large data use. Supporting Climate Modeling Over Named Data Networking, Christos Papadopoulos, Colorado State University. Abstract: Named Data Networking (NDN) is an instance of Information Centric Networking (ICN). Unlike IP, NDN focuses on content (the what) rather than hosts (the where). In NDN users simply request content by name rather than its location, and the network locates and retrieves signed content from anywhere, including the publisher, a network cache or a nearby user. The ability to specify content by name and retrieve the nearest copy is of great benefit to Big Data applications by seamlessly locating related data and speeding up retrieval of large datasets, especially in collaborative environments. In this presentation, I will briefly describe our plans to integrate NDN with the Global Cloud Resolving Model (GCRM) application at Colorado State University's Atmospheric Sciences department. Bio: Christos Papadopoulos is currently an associate professor at Colorado State University. He received his Ph.D. in Computer Science in 1999 from Washington University in St. Louis, MO. His current interests include network architecture, security and measurements. Current projects include two DHS-funded projects, "PREDICT" that makes security data available to researchers and "Retro-Future" that investigates sharing of sensitive security data with privacy concerns; and two NSF-funded projects, "Named Data Networking" and "Supporting Climate Applications over NDN"
Overview of ESnet's 100Gbps Tesbed, Brian Tierney, Energy Sciences Network. Abstract: The ESnet 100G testbed provides network researchers with a realistic environment for 100G application / middleware experiments. This talk will give an overview of the testbed, what research as been done on the testbed, and how to get access to the testbed. 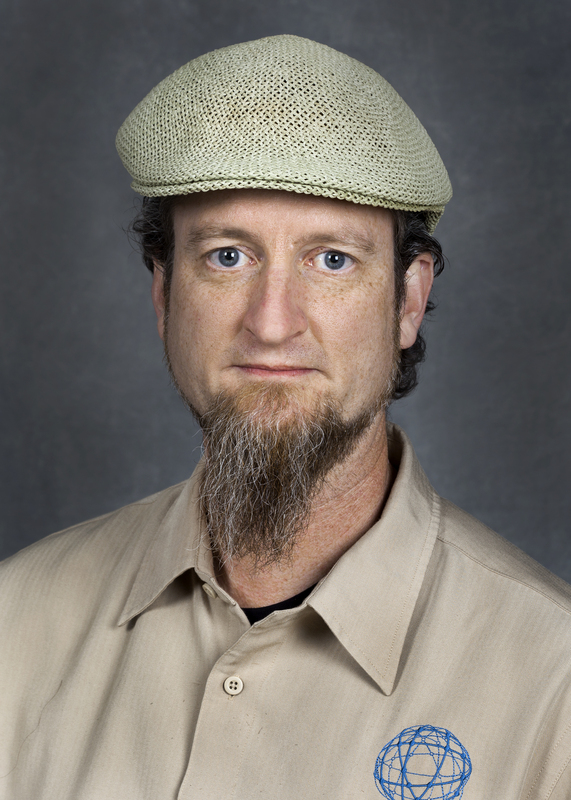 Bio: Brian L. Tierney is a Staff Scientist and group leader of the ESnet Advanced Network Technologies Group at Lawrence Berkeley National Laboratory (LBNL), and is PI of ESnet's 100G Network Testbed Project. His research interests include high-performance networking and network protocols; distributed system performance monitoring and analysis; network tuning issues; and the application of distributed computing to problems in science and engineering. He has been the PI for several DOE research projects in network and Grid monitoring systems for data intensive distributed computing. Brian has been at LBNL since 1990.